When Debhuti Roy would hear the word “jihad,” she thought it meant sacrificing oneself for the love of the country. But after attending the Eid Bash held by the Muslim Students’ Association (MSA) on Friday, Oct. 10, she realized she had a misconception. 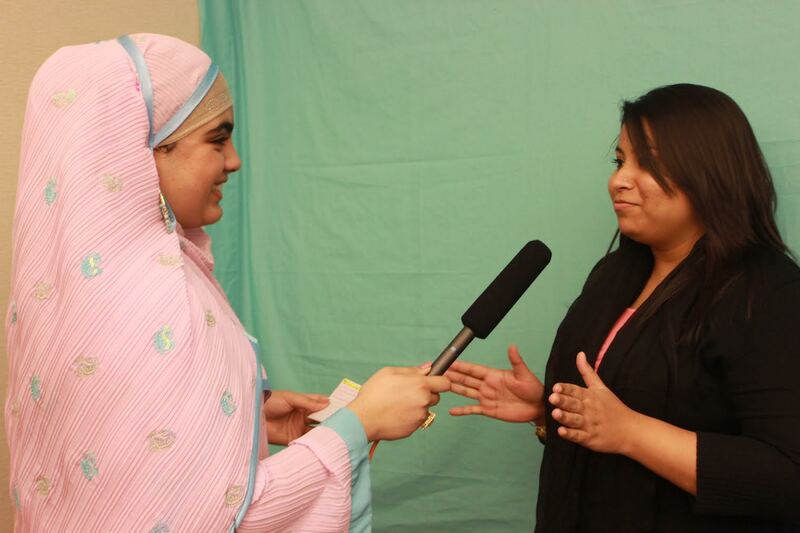 MSA member Hafsa Mansoor set up a video station where she asked guests like Roy questions about their knowledge on Islam. Mansoor explained to Roy that the term “jihad” meant a personal struggle to do good. Roy said even though she learned the basic meaning, she wanted to go home and research more into it because she still didn’t understand it completely. She said that with learning new, cultural words, it’s important to go beyond the surface meaning and do some research to find a deeper meaning. This was her first time attending the event. She said she came to the event because she tries to come to every cultural event at Webster since she’s the vice president of the International Student Association, along with being a program assistant for the Multicultural Center and Student International Affairs (MCISA). “They (MSA) don’t want to preach but they want to impart the knowledge and have people know what Islam is about and erase those misconceptions,” Roy said. Mansoor set up the video station to ask questions about words and ideals associated with Islam and face misconceptions. The questions centered around what people thought they knew about Islam and violence, women is Islam and American ideals countering Muslim identities. 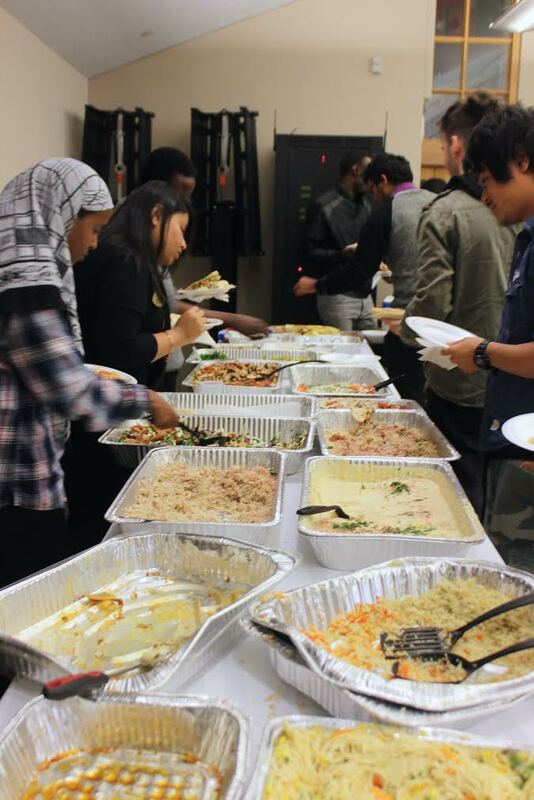 The MSA held the celebration for Eid Al-Adha, a Muslim holiday, in Sunnen Lounge. A Kabah figure was placed in the center of the room between tables to represent the holiday, where Muslims celebrate the end of Hajj. The Hajj is an annual Islamic pilgrimage done in Mecca, Saudi Arabia. MSA and MCISA collaborated in setting up the Eid Bash for the first time this year. The Eid Bash was held for the third consecutive year and attracted familiar faces, but for many attendees this was their first time. Associate Professor of Educational Technology and advisor for the MSA Basiyr Rodney went to the event with his wife and daughter. Even though he’s been MSA’s advisor for the past four years, this is one of the few MSA events he went to. “I kind of have this ambivalent feeling towards (advising) MSA,” Rodney said. He said the reason he agrees to be MSA’s advisor is to allow Muslim students to have a voice on campus and be involved. He said he doesn’t use his position as a platform as anything other than for student involvement. Rodney said he likes the idea that people want to talk about Islam and teach other people it. The Eid Bash began with an informational video about Islam and the Hajj followed by a guest reciting parts of the Quran. Then, former MSA religious coordinator Abdul Basit Syed lectured on Hajj and Islam. Freshman Karlo Perhat, a non-muslim, also attended the event for the first time. While he is not interested in converting to Islam, he said he feels it’s important to learn about different cultures and perspectives. Perhat founded the Mehlville Culture Club at Mehlville High School. “I think a lot of people are born into something and should take a step back and learn about other perspectives,” Perhat said. President of the MSA Azra Hadzic began planning this year’s event at the beginning of the semester and said intense preparations began two weeks ago. She said she felt that the guests were engaged and entertained the entire night with the henna, Arabic calligraphy, food and good company. While she was pleased with the outcome, just like in previous celebrations, she said feels this year was special since it’s her senior year and it will be her final year planning the Eid Bash. However, she said she plans on coming back after she graduates.